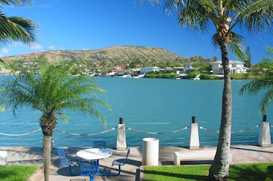 Located in the in the southeastern end of Oahu, Hawaii Kai is an upscale residential community that was once the ancient site of numerous “Kuapa,” also known as fishponds. It is located near the smaller neighborhoods and communities of Portlock, Haha’ione, Ka’alakei, Mariners Ridge, Queen’s Gate, and Kalama Valley. The community is close to the beautiful Haunama Bay, an internationally known destination for snorkeling, sunbathing, and sightseeing. Hawaii Kai is also just fifteen minutes from the shopping, sightseeing, and dining attractions of downtown Honolulu – giving it easy access to the big city amenities but the feel that you’re worlds away. Nearby attractions to Hawaii Kai include Koko Head Crater botanical garden, Queen’s Gate Golf Course, Makapu’u Lighthouse, Sea Life Park, the “From Here to Eternity” cove, and Hanauma Bay. Sandy Beach is a picturesque beach park that’s popular with the locals due to its “off-the-beaten path” location. It also is known for its powerful waves, making it a hot spot for body surfing. Primarily a residential community, Hawaii Kai real estate features many beautiful estates with views of the Pacific Ocean. The community offers amenities including country clubs, golf clubs, other recreational opportunities. Residential communities offer great opportunities for children to play in community parks. While Hawii Kai features older, larger homes, there are also many new townhouses available. The community also features upscale dining, a multi-movie cinema complex, and large shopping centers nearby, such as the Hawaii Kai Towne Center.